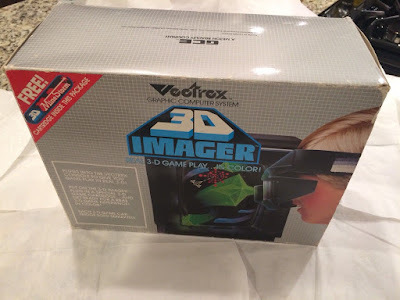 Retro Treasures: Oh, it's a Vectrex 3D Imager! Oh, it's a Vectrex 3D Imager! Haven't seen one of those for quite some time, but I do have to admit that the Vectrex 3D Imager headset seems incredibly elegant when compared to today's headsets. 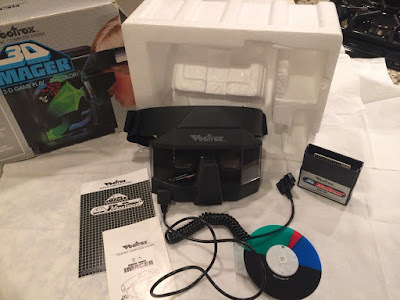 It's not much of a VR system admittedly, but it will allow you to play certain Vectrex games in stereoscopic 3D, and that was hugely impressive back then. That is also very rare today, so if interested in one complete in its box do have a look at this Vectrex 3D Imager eBay auction.